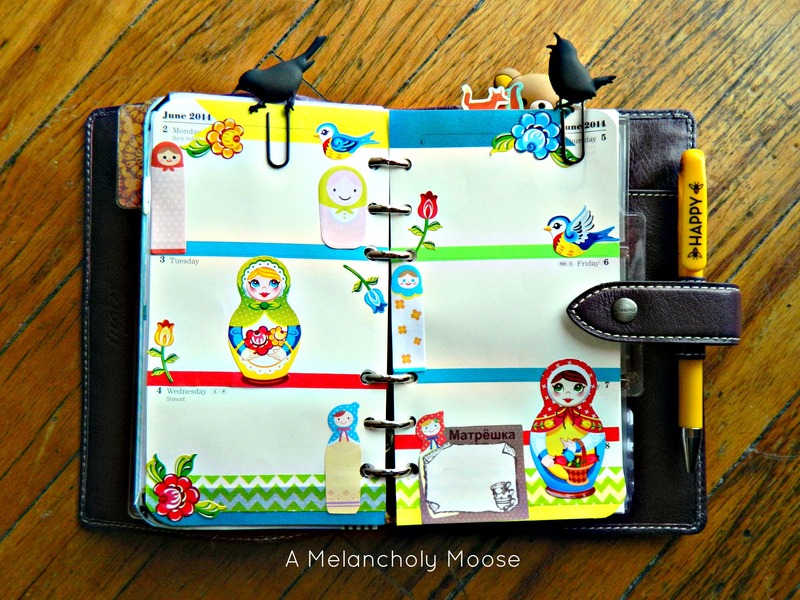 A Melancholy Moose | Don't be so easily defined. 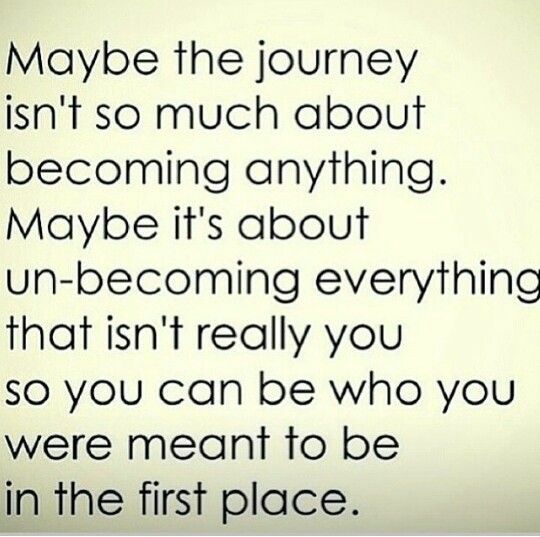 Don't be so easily defined. One of my favorite things is the magical world of Harry Potter! I’ve grown up with the stories and still read the books and watch the movies quite often. A few weeks ago I listened to the audiobook versions for the first time and was inspired to make a few sticker kits. Hedwig, Crookshanks and the Sorting Hat make appearances among books, aged pages and crystal balls! I also made coordinating half and quarter box stickers! And because Luna Lovegood is one of my favorite characters in the series I made a whole set dedicated to her. These are just the three kits I’ve finished so far. I’m working on a few more that will hopefully be up soon. In the meantime , I’ll be admiring my Harry Potter Funko Pop collection for inspiration. It’s almost complete! 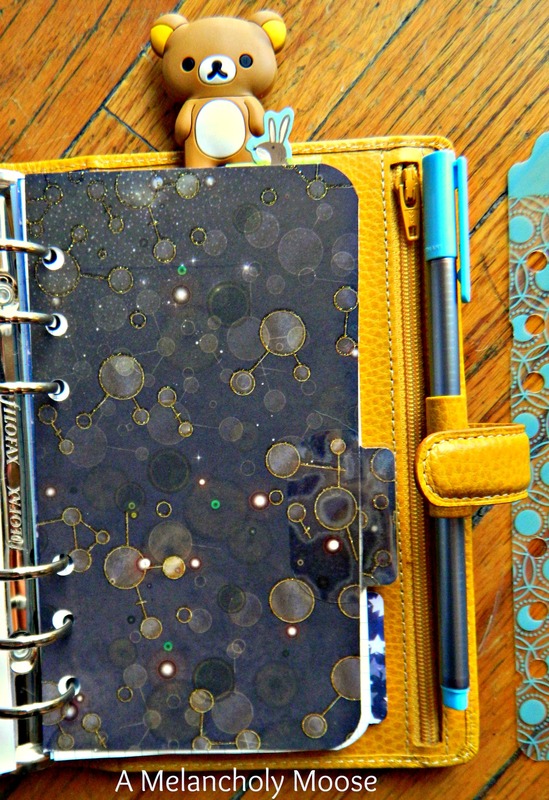 Planners have been a part of my life for several years now. They’ve helped ease my anxiety and keep me a little bit more organized all the while giving me an artistic outlet to create daily and weekly. It’s pretty cool to share this hobby with so many people all over the world! 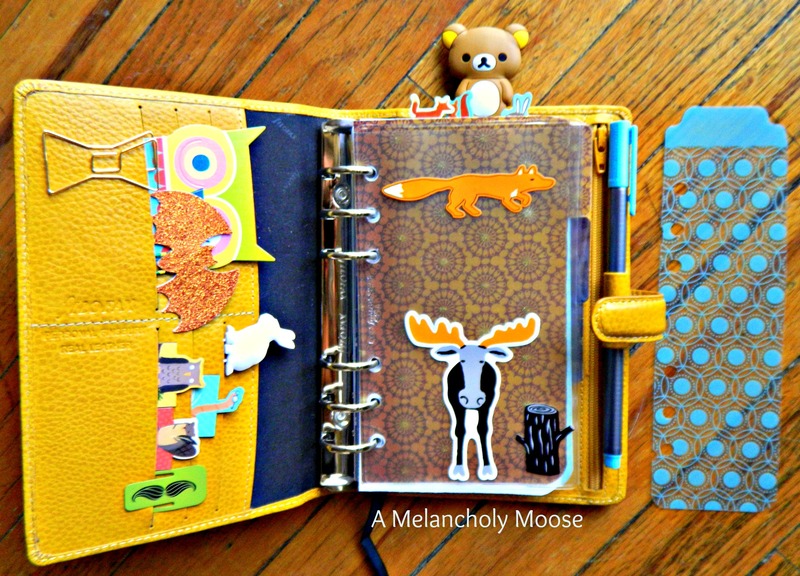 A Melancholy Moose has always been the name I wanted to use for my artistic endeavors. Whether that’s blogging or something else. Like all things in life, A Melancholy Moose and myself have evolved and changed. 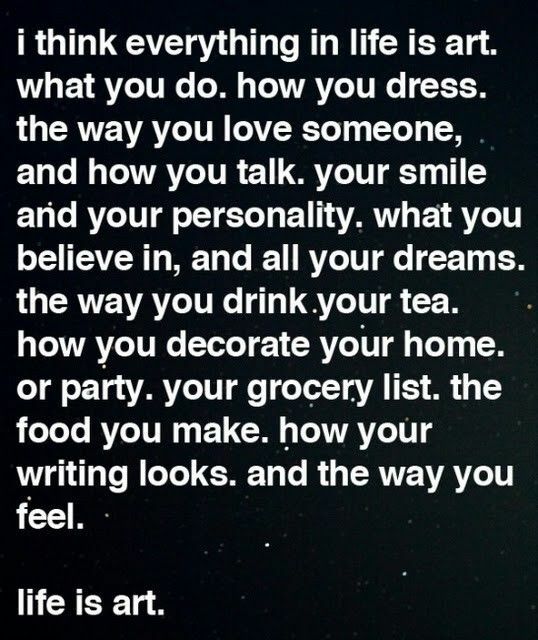 I’m a big believer in following your joy and nurturing the small things that make you happy. I previously made jewelry under this name but as that is no longer something that brings me joy, it was time to closed that chapter and start a new one. 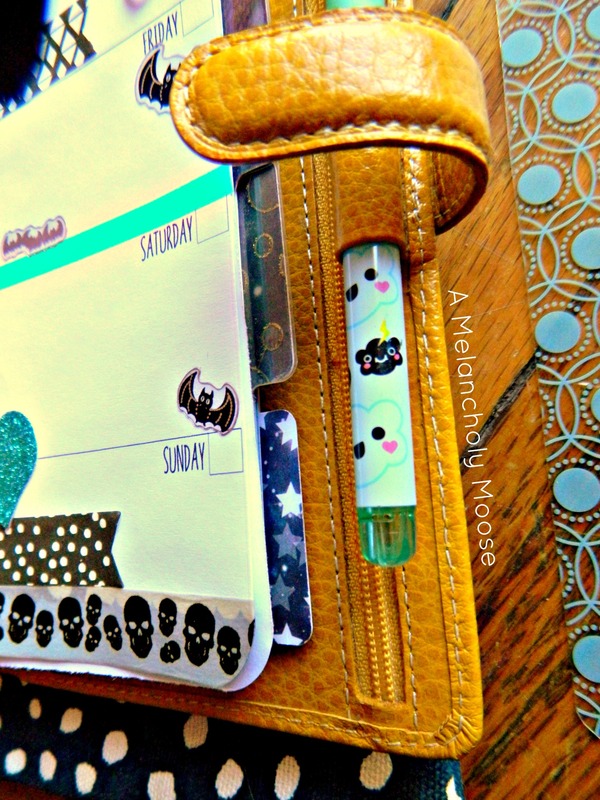 I plan on blogging here more (again) and have also started an Etsy store to share my passion for planning and stationery. I hope you’ll continue to join me as I start a few fun new projects. 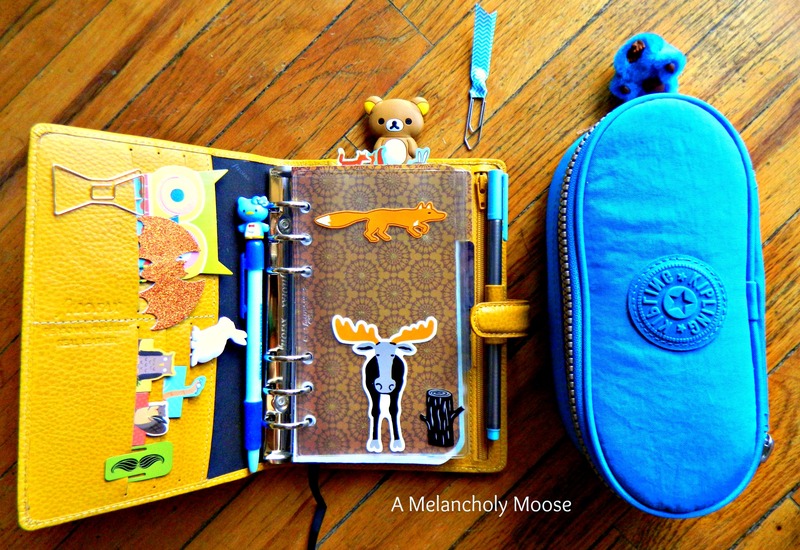 So, with that said, A Melancholy Moose is now on Etsy! I have been drawing up a storm, creating characters that are inspired by my world and favorite things. I’ve turned these drawings into themed sticker sets for planners. 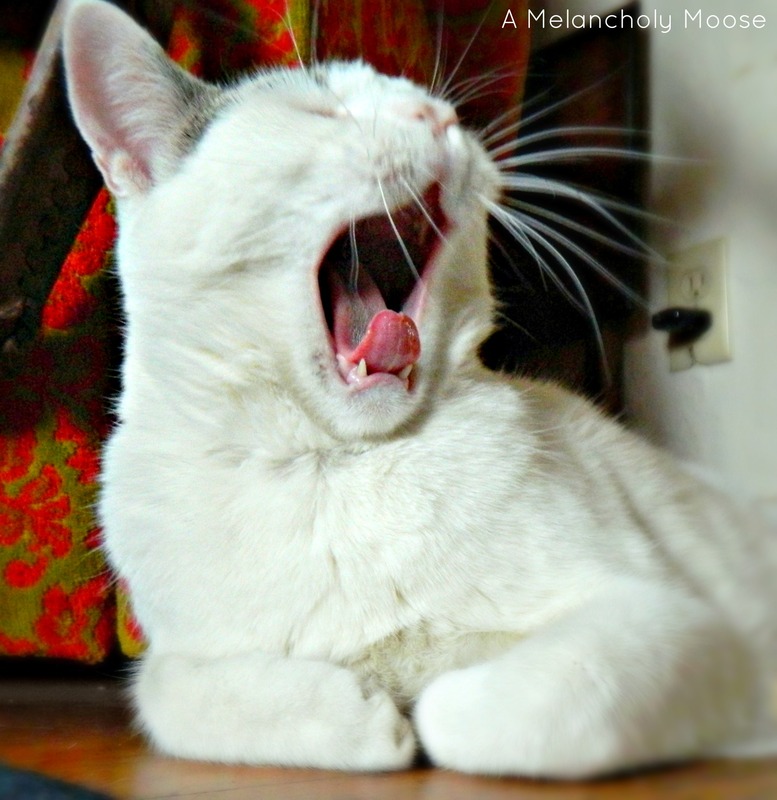 Of course cats play a big part in my illustrations and most of them are inspired by my little muse Lucky. Don’t mind the messy coffee table, just look at those adorable crossed paws! Part of my Pastel Kitties sticker kit. 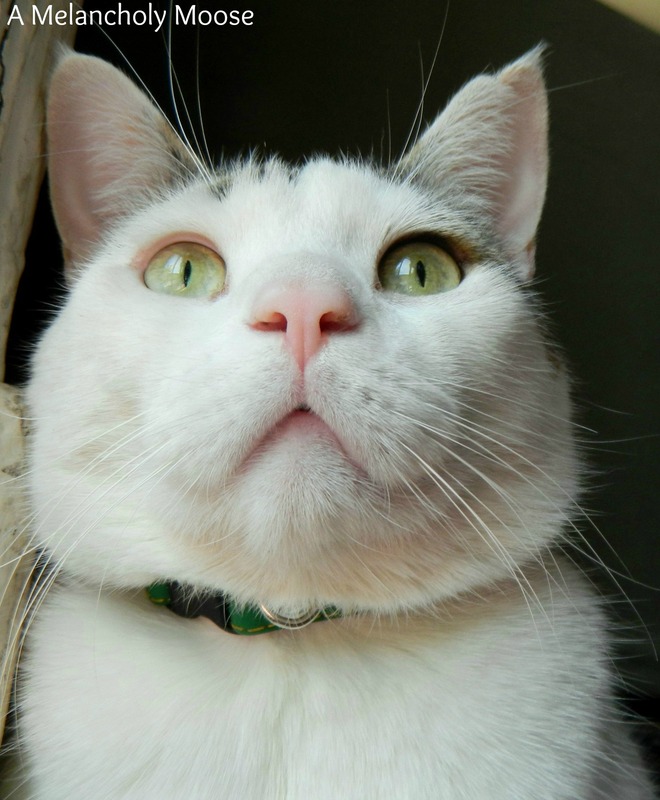 Can you see the likeness to Lucky? I just opened shop a little while ago and only have a handful of listings, but I’m having so much fun creating new things. I’m trying to release a new set each week and will start posting about them here as well as on Instagram. One of the hardest things about having a shop or business for me is the promotional aspect. I really don’t like advertising myself! I always feel pushy and am terrified that I’ll come off fake. So, I’m tying really hard to get more comfortable sharing. If you’d like to take a look at my store, you can check it out here. It’s been lovely chatting here again, and I’ll be back soon! I made these Pusheen date cover stickers last month and completely forgot to share them! Download them here. 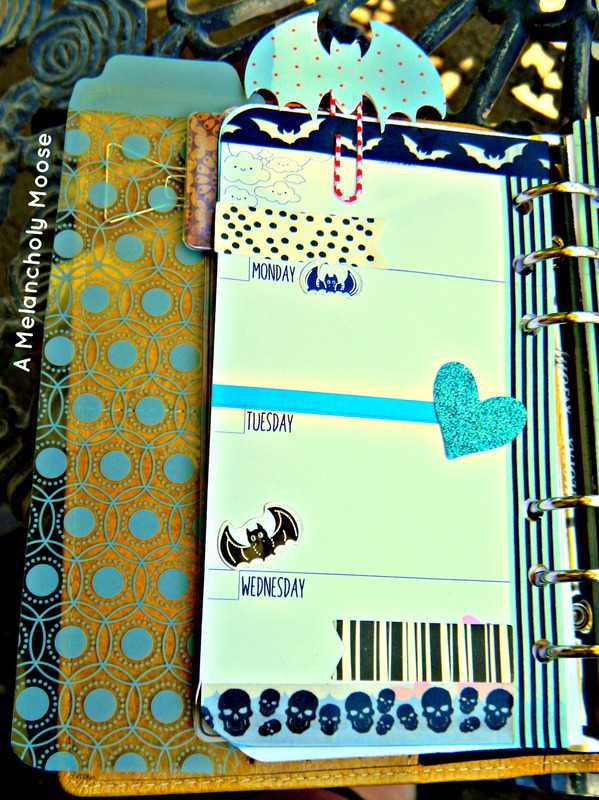 Just print and cut through your preferred method and add to your planner. 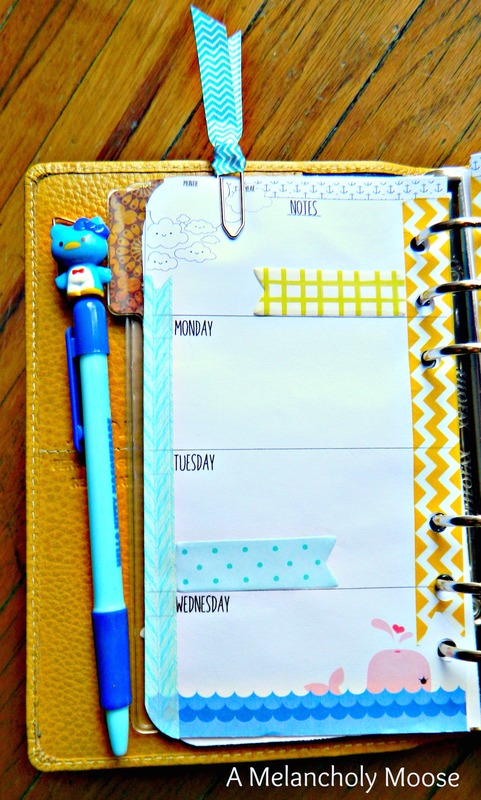 You can use them to cover up the daily dates in a weekly layout, the dates in your monthly view or both! I added the day of the week stickers from Wendaful’s free heart date stickers download to my layout to go along with Pusheen and love how it turned out. I hope they brighten your day as much as they have for me. Because you must fill your planner with cuteness during February, regardless of how you feel about Valentines day, I’ve designed some free Pusheen layout stickers. They are chock-full of pastel shades and whimsical images of the ever adorable Pusheen! 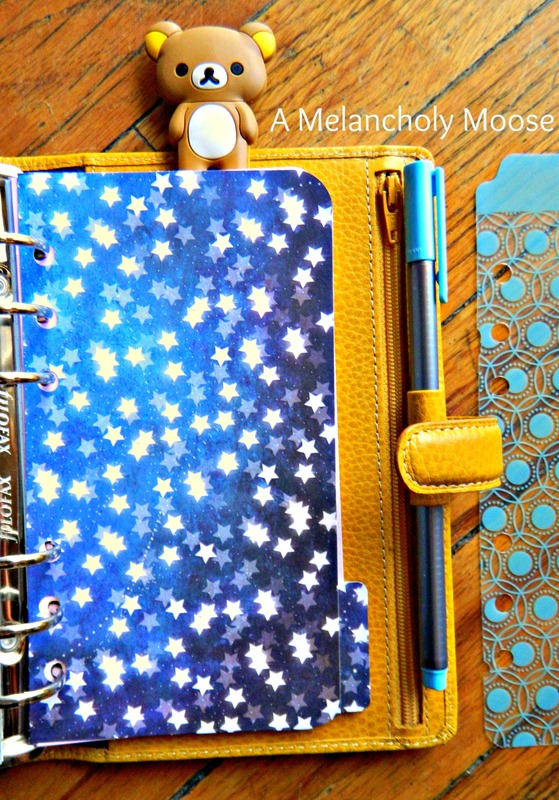 I’ve added two printing options, they’ll now fit in the Erin Condren life planner (vertical) as well as the Happy Planner! Choose your preference below. If you do not own a digital cutter, you can still print on sticker paper and cut out by hand or print on paper and run through a Xyron sticker machine. 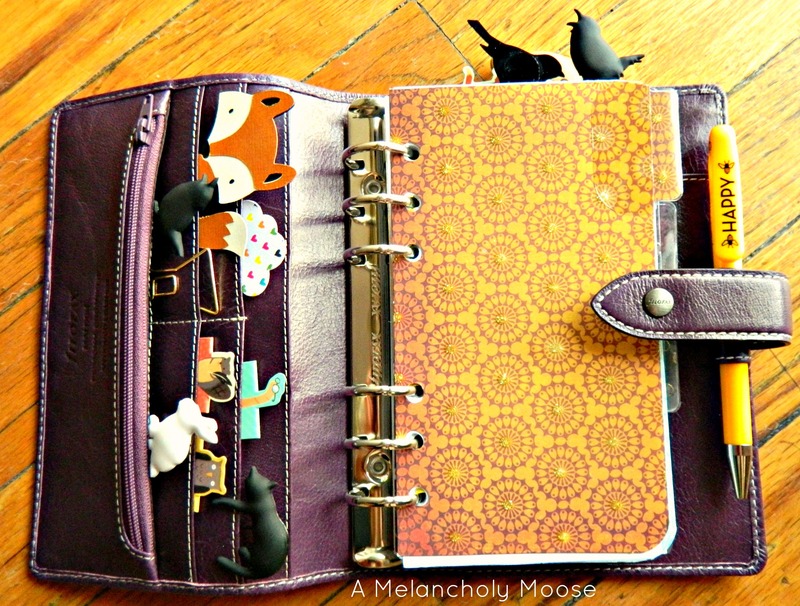 There’s also the good old fashioned option to simply print, cut by hand and glue into your planner too! Feel free to tag me on Instagram (@amelancholymoose) or link back to me here if you use these in your layout. I’d love to see how you use them! 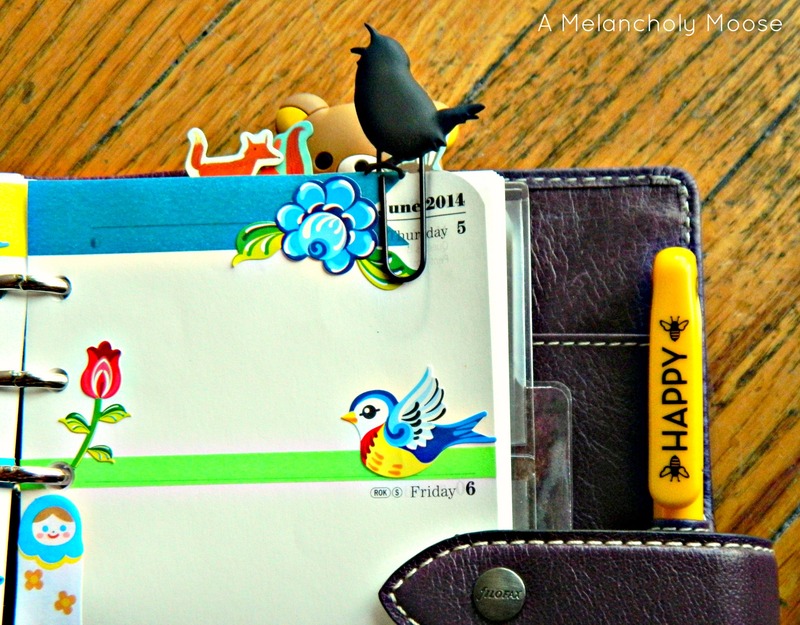 Click here to open the Happy Planner size printable! Click here for the Erin Condren size printable! ** This printable is intended for personal use only. Please do not sell or claim as your own. 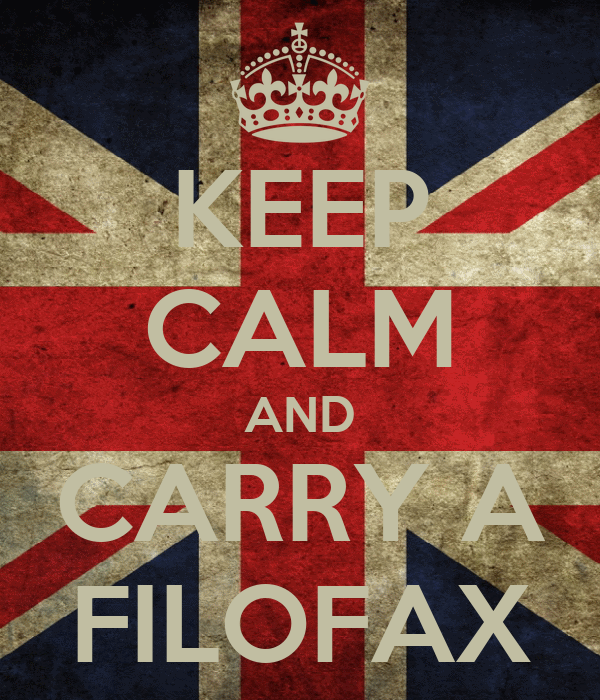 I do not claim ownership of any copyrighted images. 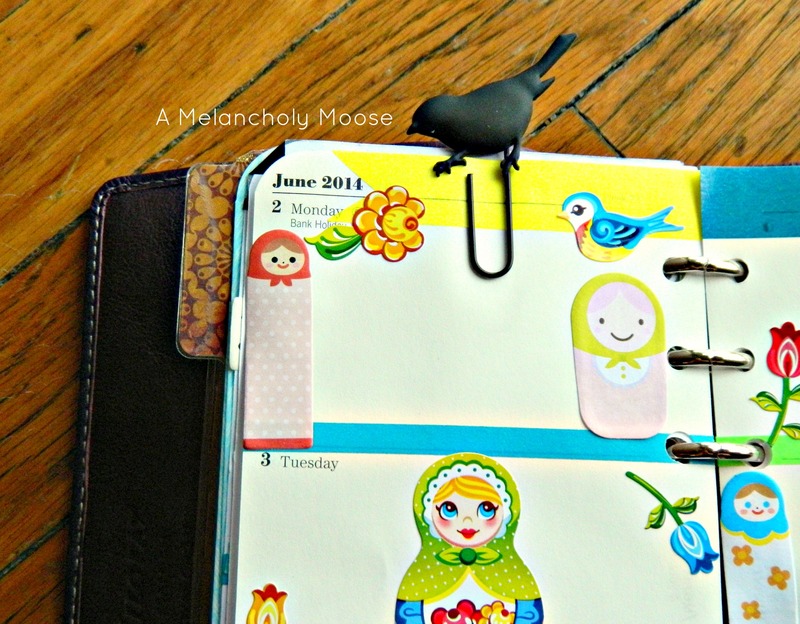 I’ve been doing some planner shuffling lately. 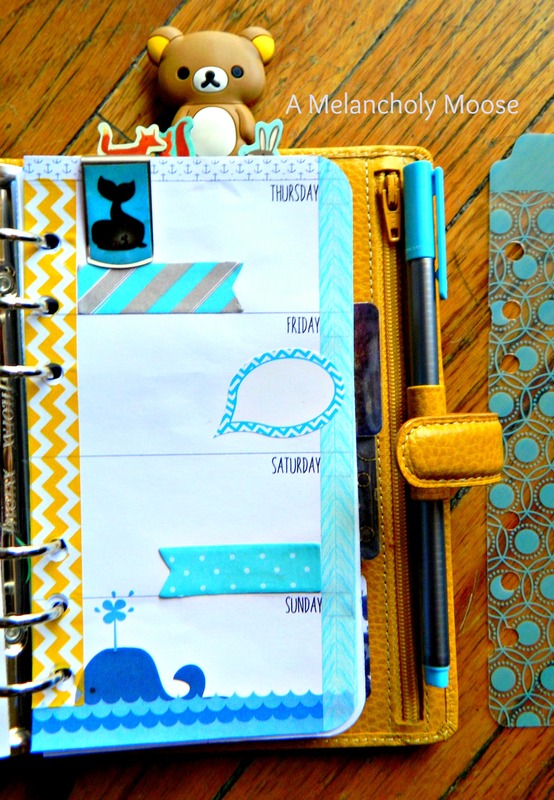 One of the things that seems to coincide with planner addiction is always wanting to switch up your collection! So this week I moved into my new purple personal Malden. 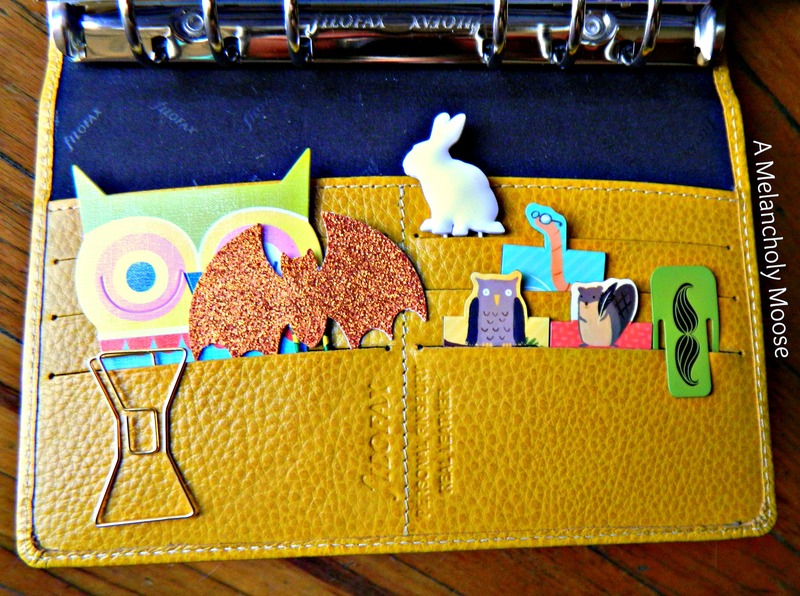 I’ve been drooling over this particular type of Filofax for a while and last week was given the opportunity to trade for one! 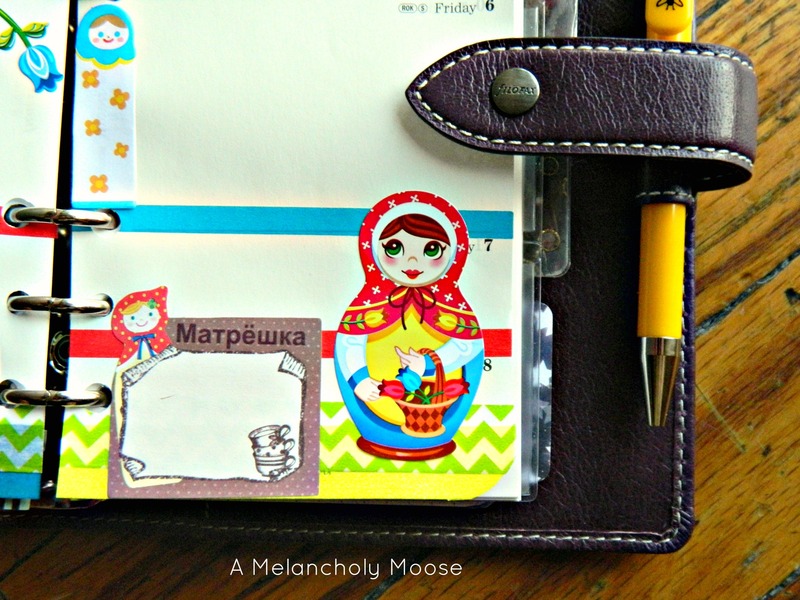 I decorated week 23 with Matryoshka doll stickers, sticky notes and washi tape. I love this “Bee Happy” yellow pen that I picked up this week from a local stationery store. It’s called The Seven Year Pen and comes in several different colors with really cute designs on them. Supposedly it contains enough ink for seven years of use! 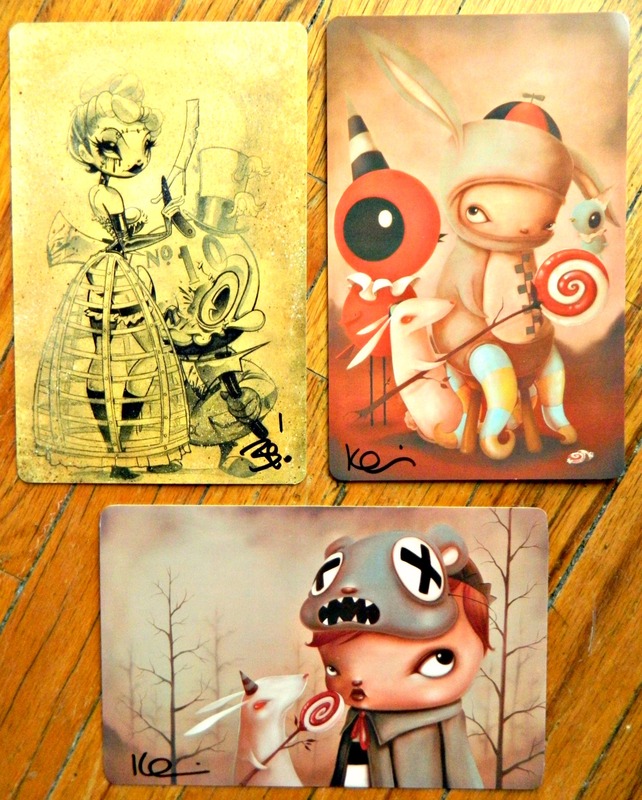 On Sunday, Luke surprised me with these AWESOME signed post card prints by Kathie Olivas and Brandt Peters! They are amazing artists and also own Stranger Factory, an art gallery in Nob Hill. 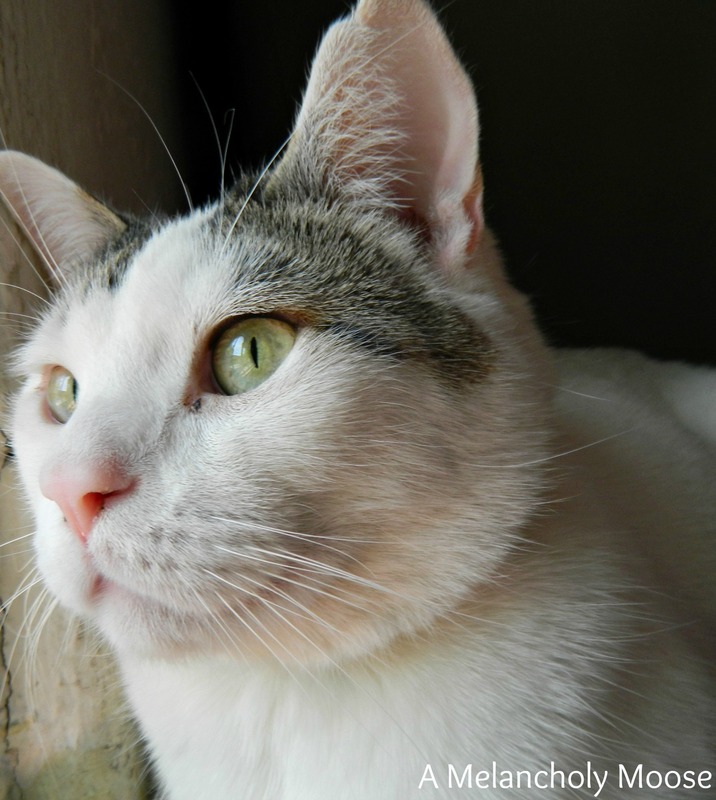 Something else that happened this weekend…we are now caretakers of this little guy. 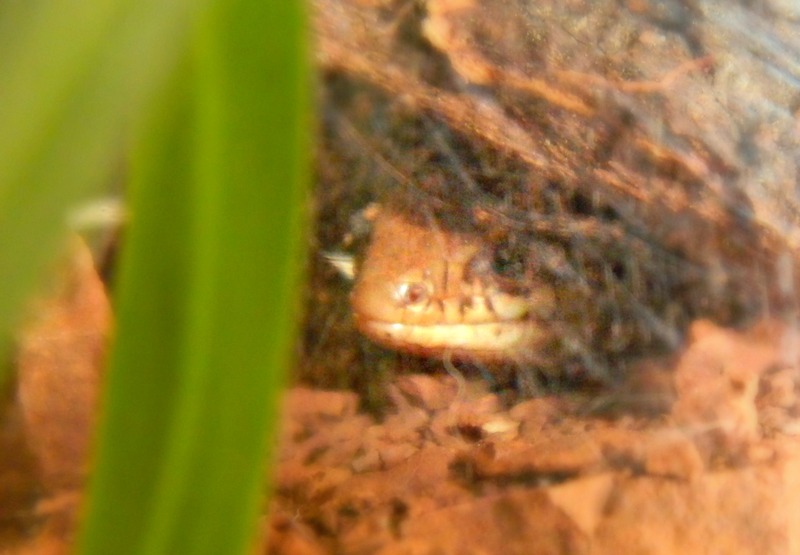 He’s a great plains skink! I think he looks like a little dinosaur. Lucky wasn’t as excited about the newest household member as we were. It was such a nice day today that I decided to decorate my planner outside on my patio table, under my favorite tree. 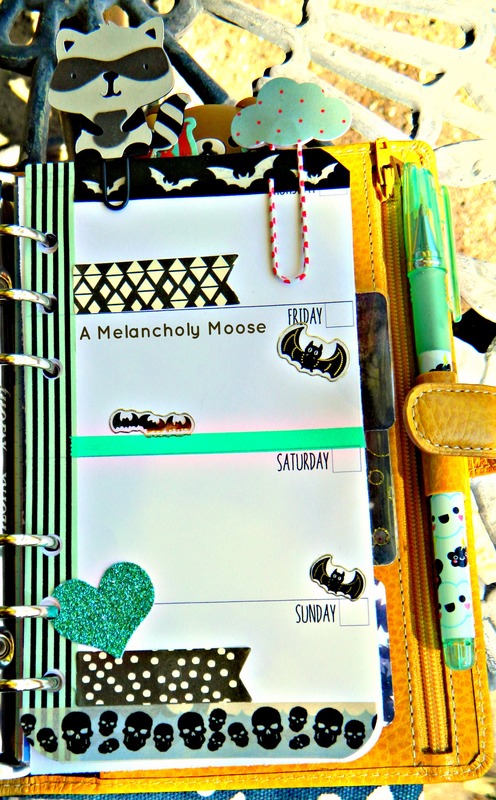 I used bat and skull patterned washi tape along with some sticky flags from Target. 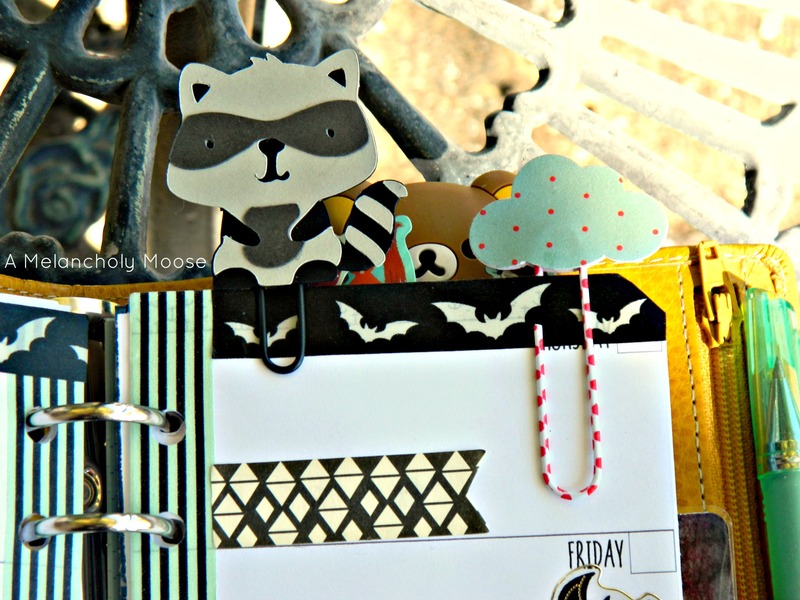 The first half of the week has a bat book clip I made out of some left over scrapbook paper and a striped paperclip. 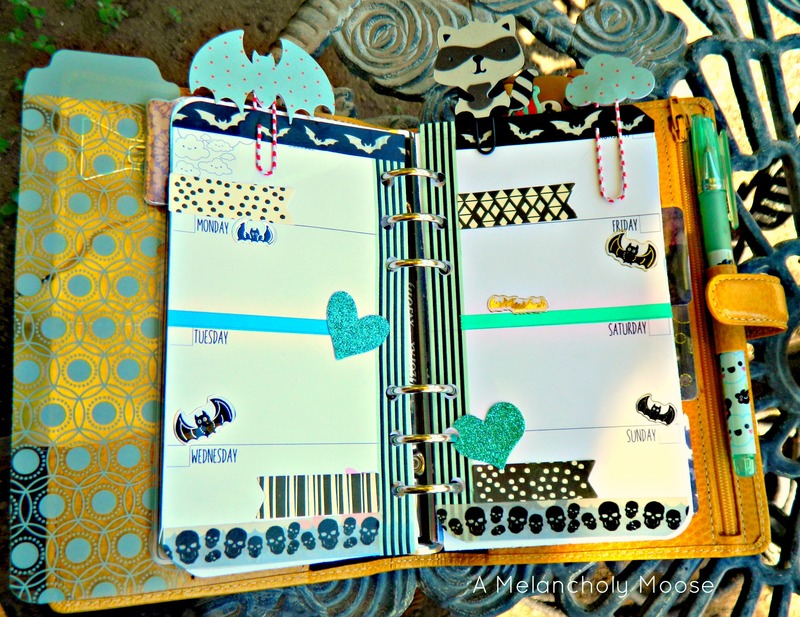 I embellished the pages with a few glittery teal hearts from a die cut pack by Heidi Swapp and some bat stickers leftover from Halloween. Love this kawaii cloud pen! 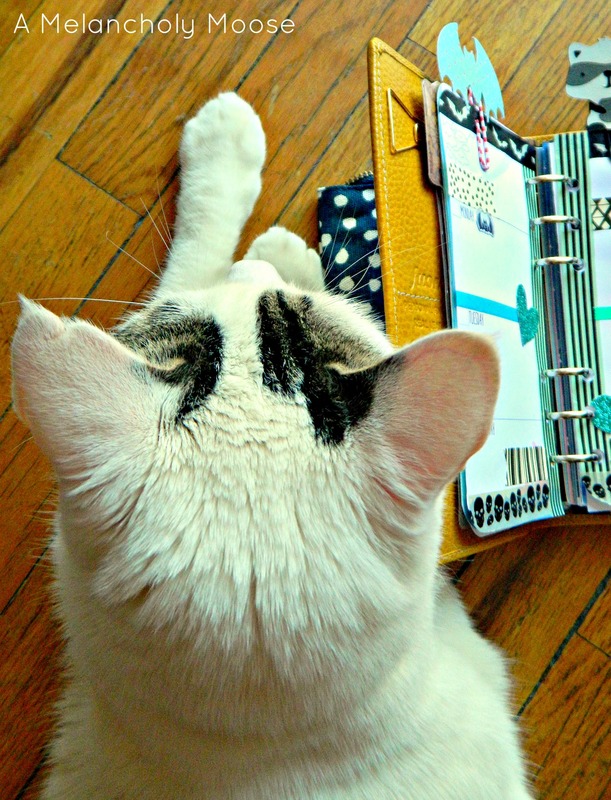 Lucky likes to lay next to or on top of my Filofax when I’m taking pictures. 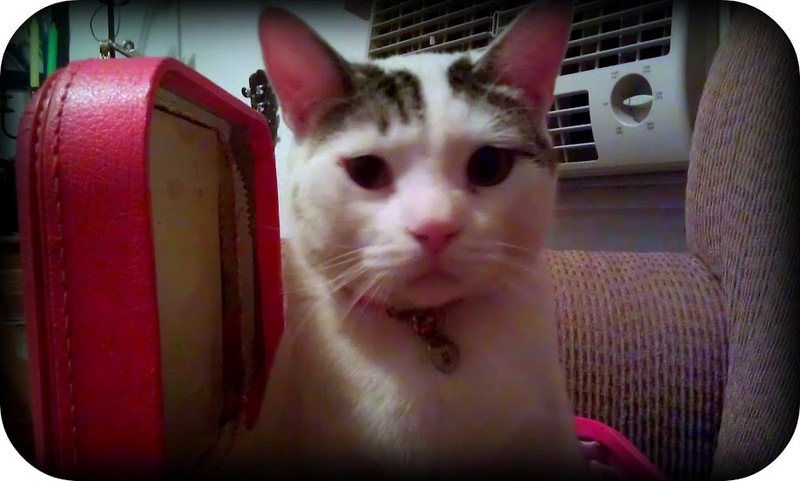 Silly kitty! Hope you had a great Memorial Day and weekend. 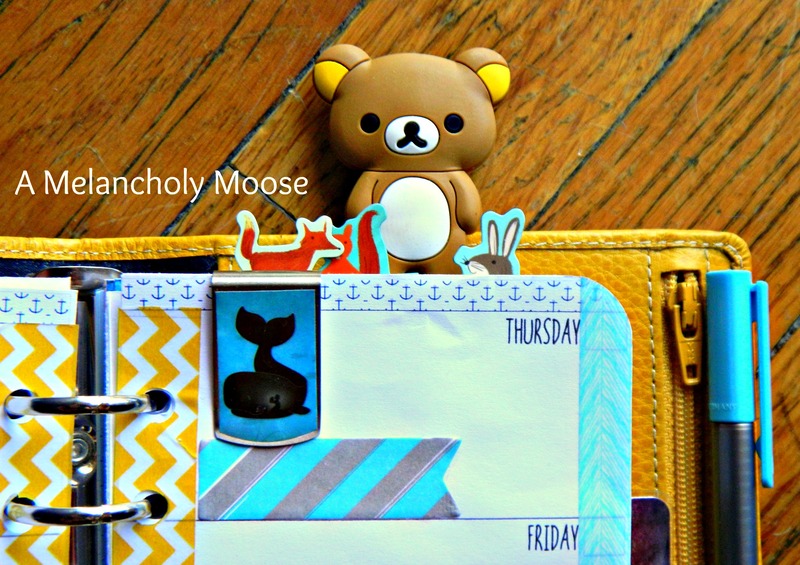 This week I tried out some adorable whale themed inserts that I purchased from the lovely Etsy store Obsessed With Cute. I’m pretty happy with the way it turned out! It was so much fun setting up my new yellow Finsbury! Here’s what the front looks like. 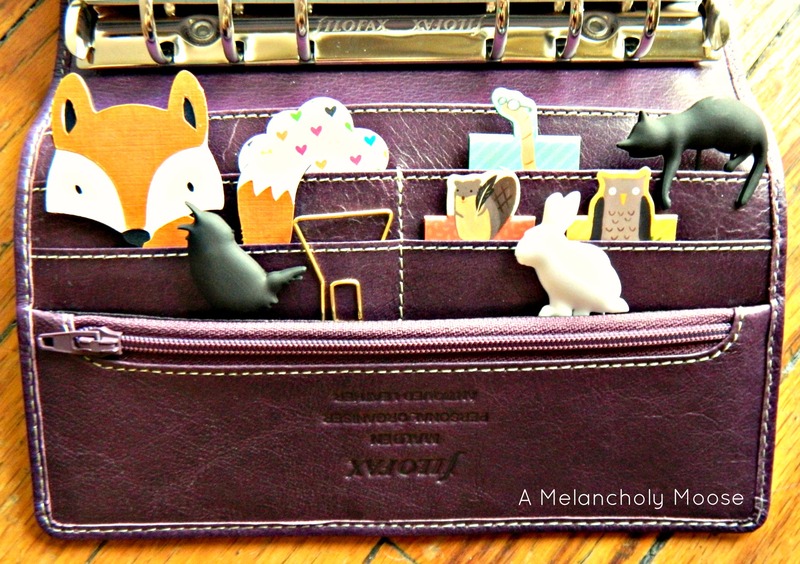 Pockets, pockets and more pockets to pack with cute paperclips! 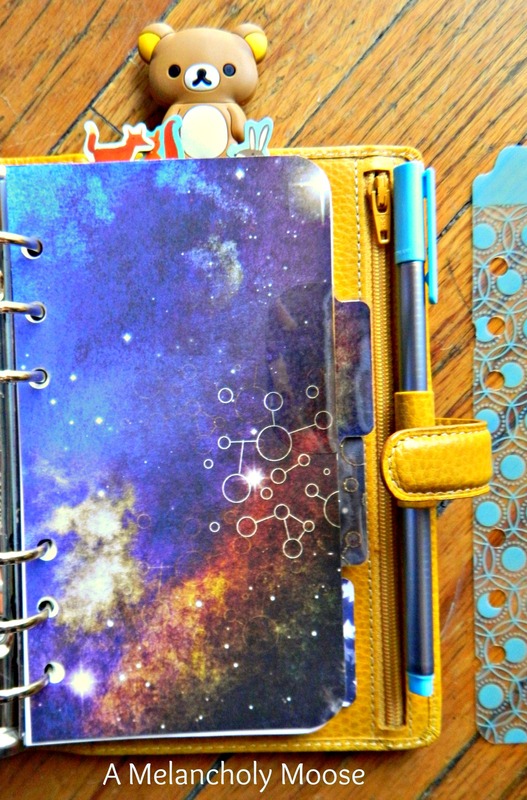 I made some galaxy patterned dividers to replace the white ones it came with. 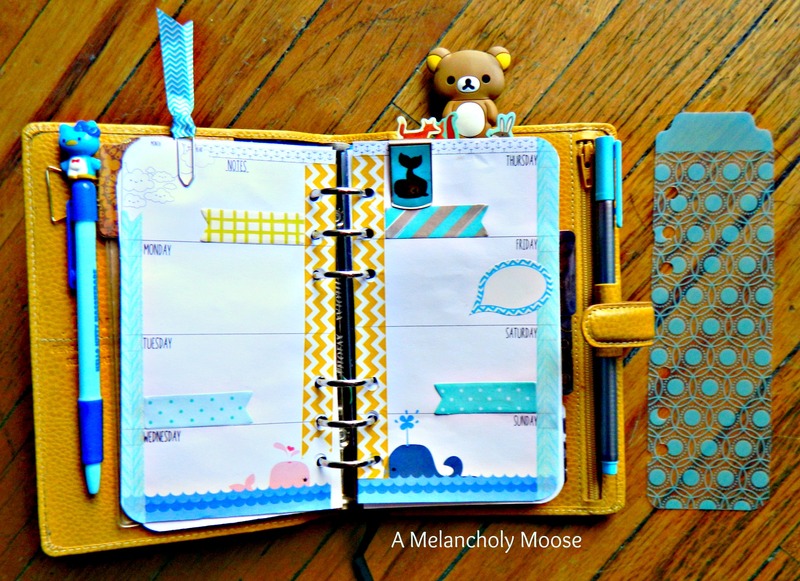 Out of my collection, I think this might be my favorite planner! Happy Friday and Easter weekend! Seems like a great time for a sale too! 🐰🐣 Today through Tuesday take 25% off your order of $10+ and get free shipping! 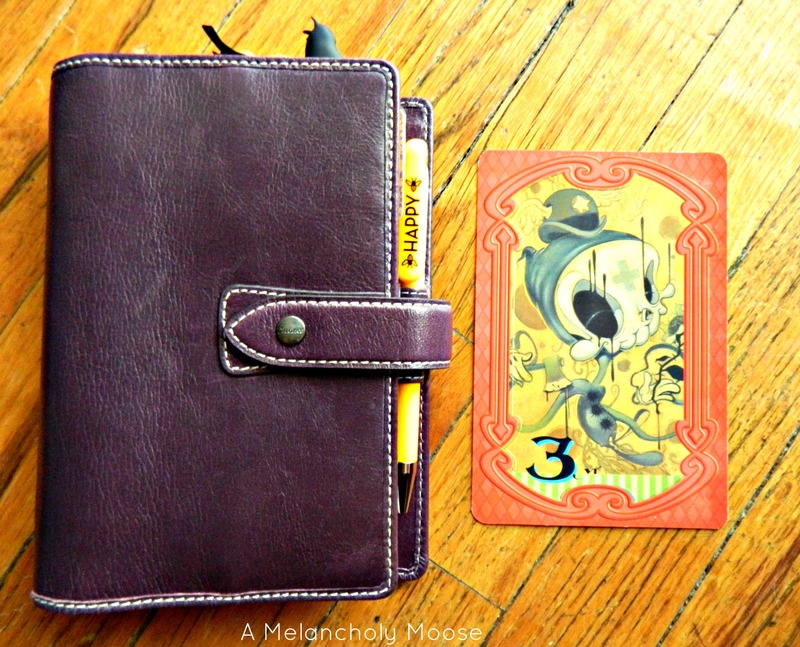 (No code needed) 👀 I also have two new hobo weeks lots up in the shop! Stay tuned for a peek at them!